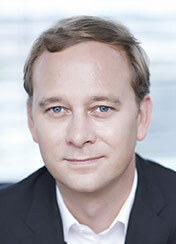 Lennart de Vet became a member of the Board of Management of Robert Bosch Power Tools GmbH in January 2019. He is responsible for Marketing and Sales, Organization and Global Process Excellence, Bosch Blue Industrialized Markets/Emerging Markets. He joined the Bosch Group in 2001. Before assuming his current position, he held the position of Senior Vice President Power Tools Emerging Markets, from 2014 to 2018, and Marketing Director at Power Tools Accessories, from 2010 to 2013, as well as various other roles. Responsible for Marketing and Sales, Organization and Global Process Excellence, Bosch Blue Industrialized Markets/Emerging Markets.